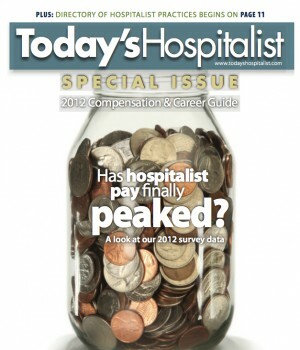 Home Career Has hospitalist pay finally peaked? IS IT AN UNREMARKABLE BLIP, a logical pause or an ominous sign of things to come? According to the 2012 Today’s Hospitalist Compensation & Career Survey, mean hospitalist compensation across all respondents dropped slightly last year to $220,552. Check our latest (2016) data on hospitalist career satisfaction and compensation. See how you compare with other hospitalists nationwide. Mean compensation for the largest subset of hospitalists “full-timers who treat only adults “stayed relatively even, posting a gain of only 0.56% from 2011, to $234,930. And while full-time pediatric hospitalists in 2011 enjoyed a double-digit jump in income, this year they reported a 7% drop in compensation. Only in retrospect will we know whether this year’s figures are just part of the up-one-year-then-flat-the-next pattern that has typified hospitalist earnings over the last five years. An alternative explanation holds that sluggish compensation growth may reflect a cautious response to the current economic and political climate. Or flat compensation figures may represent a leveling-off after 15 years of dramatic increases. Hospital medicine experts are unsure. But there is one thing most hospital medicine watchers do agree on: Hospitalist compensation has not yet peaked. 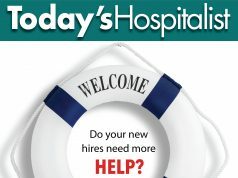 This is the fifth year in a row that Today’s Hospitalist has surveyed hospitalists. 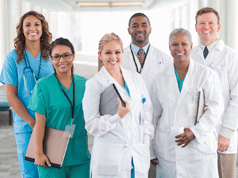 This year’s results are based on the responses of 944 hospitalists nationwide. In 2008, the first year we gathered survey data, hospitalists reported a mean total compensation (including bonuses and incentives, but excluding benefits) of $190,923. Mean figures, however, never tell the whole story, and hospitalists this year “as in years past “report a broad range of income. About 30% of full-time adult hospitalists say they earn more than $250,000, with 13% saying their compensation tops $300,000. Another 25% reported making less than $200,000. As Ms. Flores points out, there are also striking geographic differences. This year’s survey found a $25,000 difference on average between the lowest paid regions of the country “the Northeast and the Midwest “and the highest, which are the South and Southwest. In smaller, more remote markets ” such as the Southeast “where hospitals have a hard time recruiting, Ms. Flores says that some doctors see 5% or 6% salary increases every six months. The consensus among analysts and experts is that pressures to increase wages continue to trump downward forces. The difference this year, they say, may be that there are more negative influences than ever before in the young specialty’s history. Another phenomenon that could be exerting downward pressure on hospitalist income is the fact that there is more competition for compensation. Other analysts, however, don’t expect hospitalists to be targeted. Not only have hospitalists become indispensable at most hospitals, they argue, but hospitalists also seem well-situated for health reform. In addition, their pay continues to lag behind all other hospital-based physicians, particularly emergency physicians, whose clinical work and schedules are similar. According to Becker’s Hospital Review, emergency physicians’ median salary is $285,910. (Experts point out, however, that ED doctors don’t typically ask for financial support, as hospitalists do.) By comparison, the only physician specialties reporting the same or lower annual compensation as hospitalists are primary care internists, family physicians and pediatricians, along with neurologists and endocrinologists. All other specialties report median annual incomes of at least $100,000 more. The trade-off, Dr. Gundersen says, is that hospitalists will need to become as productive as emergency physicians. He notes that hospitals just can’t afford to have hospitalists see only 14 or 15 patients a shift. What’s surprising, however, is that the number of hospitalists who are paid based on productivity hasn’t changed. Five years ago, 6.3% of hospitalists said their earnings were based entirely on productivity; today, that’s true for 5.9%. About 35% say they are paid a set salary, similar to the 34% reported five years ago. And 56% say their payment model is a combination or hybrid of the two, a number that hasn’t changed much in the last five years. For years, consultants have been predicting the demise of straight salary compensation arrangements. The fact that the numbers haven’t changed much may reflect economic factors outside of health care such as the housing market. That’s particularly the case, adds Dr. Ahlstrom, who is clinical director of Alpena Regional Medical Center, in more remote regions of the country where it is harder to recruit doctors. The fact that so many hospitalists are paid a salary may be another factor keeping hospitalist compensation flat. According to our survey, hospitalists paid on productivity continue to make significantly more on average than their salaried colleagues. Fulltime adult hospitalists who are paid based solely on productivity report a mean compensation of $287,500, compared to $217,700 for hospitalists paid a straight salary and $240,100 for a hybrid compensation arrangement. But more groups moving to hybrid compensation models may be a sign of the times. In Omaha, Neb., Thomas Frederickson, MD, MBA, medical director for hospital medicine at Alegent Creighton Clinic, says that the hospitalists in his group “along with all the clinic’s physicians “have recently begun working under a new compensation plan. For the first time, 15% of a doctor’s potential compensation is being tied to meeting specific goals on quality and service excellence, and to supporting the health system’s strategic initiatives, particularly around value-based purchasing and creating an accountable care organization (ACO). Dr. Frederickson suspects that future surveys will show that his group isn’t alone in finally making the switch to combination payment arrangements. “We haven’t seen it that much yet because people are trying to figure out what the Affordable Care Act means in terms of how they are going to have to shift their compensation models,” he explains. More or less specialty income? In hospitalist programs that are helping set up ACOs, Dr. Frederickson adds, “I suspect you will start to see compensation models based around efficiency metrics that have to do with resource utilization and partnering with outpatient physicians on how to efficiently use resources.” Future incentives may include not only scoring well on quality measures, but reducing readmissions or improving patient satisfaction. Many say that hybrid compensation models will give hospitalists the chance to earn more than ever “but with a catch: They will have to meet quality and productivity targets. While physicians might not be interested in too much risk, there is a definite financial reward for those adventurous enough to embrace the unknown. According to the survey, fulltime adult hospitalists who had more than 10% of their compensation from bonuses and incentives earned higher than average income: $249,100. 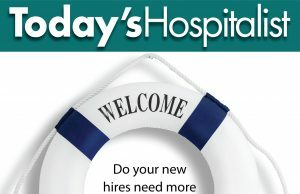 There’s another factor experts point out when discussing hospitalist compensation: For most of the specialty’s short life, hospitalists have used job-jumping to increase their pay. With demand far outstripping supply in most places, it was relatively easy for hospitalists every few years to walk down the street or fly across the country for a new job with more pay. But analysts say that phenomenon seems to have slowed dramatically. That may be contributing to the lower rate of compensation growth. In Nebraska, Dr. Frederickson likewise says that the tremendous turnover of years past has slowed. He speculates that some of that may be due to the fact that many hospital medicine programs are more mature “and right-sized “than before. People are picking a program to work in because of its reputation, he says, and then they’re staying put. Survey respondents reported being in their current job for an average of five years, with 20% saying they have worked at the same job for between six and 10 years. Five years ago, the mean number of years that hospitalists had been in a current job stood at just short of four. In 2008, 15% reported being at the same job for between six and 10 years. Anne Marie Kelly, MD, hospitalist program director at Cape Cod Hospital in Hyannis, Mass., can’t help but think that a leveling off of compensation increases will help hospital medicine reduce the amount of churn that groups face. For hospitalist programs to be sustainable and viable, she notes, they have to be affordable. At her hospital, which is located in a somewhat isolated location, Dr. Kelly says hospitalists’ compensation is competitive for their market “and that paying more is worth it if it keeps turnover in check. The program is growing, reducing its turnover and responding to the added demand for services. Another mainstay that hospitalists have used over the years to hike up their compensation may also be on the wane: moonlighting. Less moonlighting may be another indication that groups are right-sizing. That means that doctors don’t have to keep on picking up extra shifts in a perennially understaffed program. More practices may also have hired part-timers and midlevels, allowing them to cover shifts without resorting to moonlighters. The survey found that full-time adult hospitalists who work in smaller groups (with between one and four hospitalists) earn on average $8,000 more than hospitalists who work in bigger groups of more than 15. 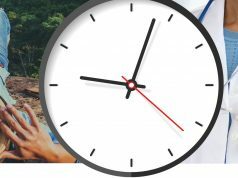 That may, in part, reflect the need of doctors in smaller groups to pick up extra shifts. So, if most predict more “but slower “growth in hospitalist compensation to come, what should hospitalists be doing to ensure they can maximize what’s coming? IN THE 2012 TODAY’S HOSPITALIST COMPENSATION & CAREER SURVEY, hospitalists trained in family medicine reported a higher average compensation than their colleagues who trained in general internal medicine, medicine-pediatrics or pediatrics. The mean compensation reported by full-time family medicine hospitalists was $236,480, about $5,000 more than for full-time general internal medicine hospitalists and $15,000 more than those trained in med-peds. Analysts say that part of the explanation for that higher compensation relates to demographics: Family physician hospitalists are much more likely to be found in small hospitals. In the survey, 65% of them say they work in hospitals with fewer than 250 beds, compared to 48% of internal medicine hospitalists. Full-time hospitalists at smaller hospitals on average reported earning more than their colleagues at larger hospitals ($237,900 vs. $232,100). Family medicine hospitalists are also more likely to be found in rural hospitals than their internal medicine colleagues: 29% vs. 15%. And hospitalists at rural hospitals reported higher mean compensation ($245,800) than their urban ($230,400) or suburban ($234,000) counterparts. Another explanation, however, may have to do with income above and beyond regular compensation. Hospitalists who are family physicians can easily pick up moonlighting shifts in emergency departments, which pay significantly more than hospital medicine shifts. WANT TO EARN MORE? If so, here is a snapshot of full-time adult hospitalists who, according to the 2012 Today’s Hospitalist Compensation & Career Survey, reported earning a mean of at least $245,000. 1. They work at a rural hospital. 2. They are employed by a local hospitalist group. 3. They don’t do any teaching. 4. They are busier: They see more patients (21 or more) per shift and work more than 20 shifts a month. 5. They are older (age 41 and older) and have more experience. They have worked as a hospitalist for 11 years or longer and have been in their current job for six or more years. 6. They are often paid 100% based on productivity. If they do have a combination payment model (salary plus incentives), more than 10% of their compensation is the result of incentives or bonuses. 7. They work in the South or Southwest. There is, however, a downside to earning more. According to our survey, 67% of all full-time hospitalists reported that “burnout” was a “significant” or “very significant” issue for them. But it was worse among the highest earners: 73% of hospitalists who reported compensation between $250,000 and $300,000 rated burnout as significant or very significant.